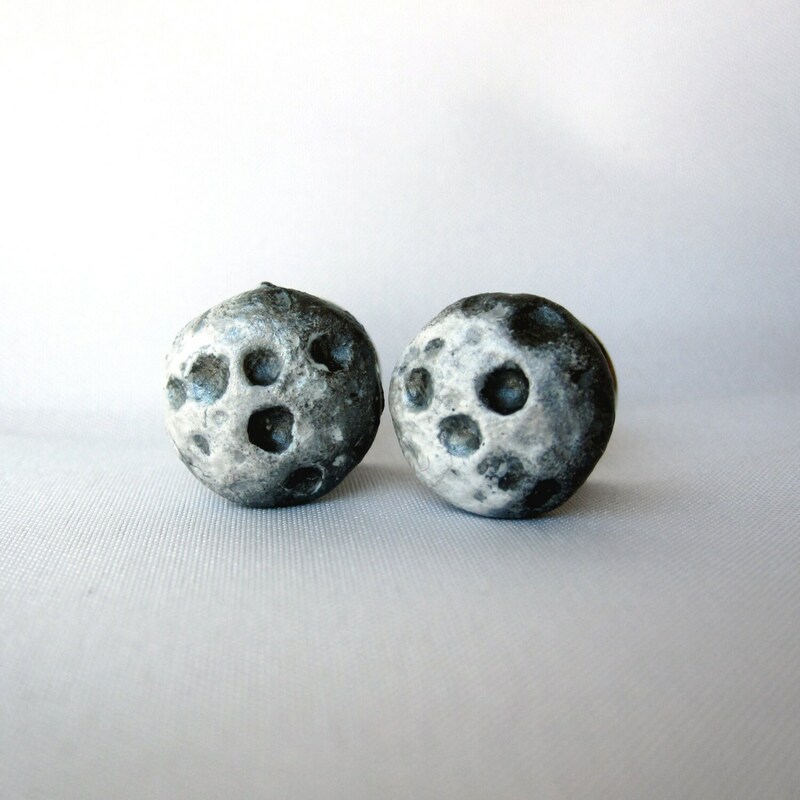 These moon plugs are great for weekends and evenings. 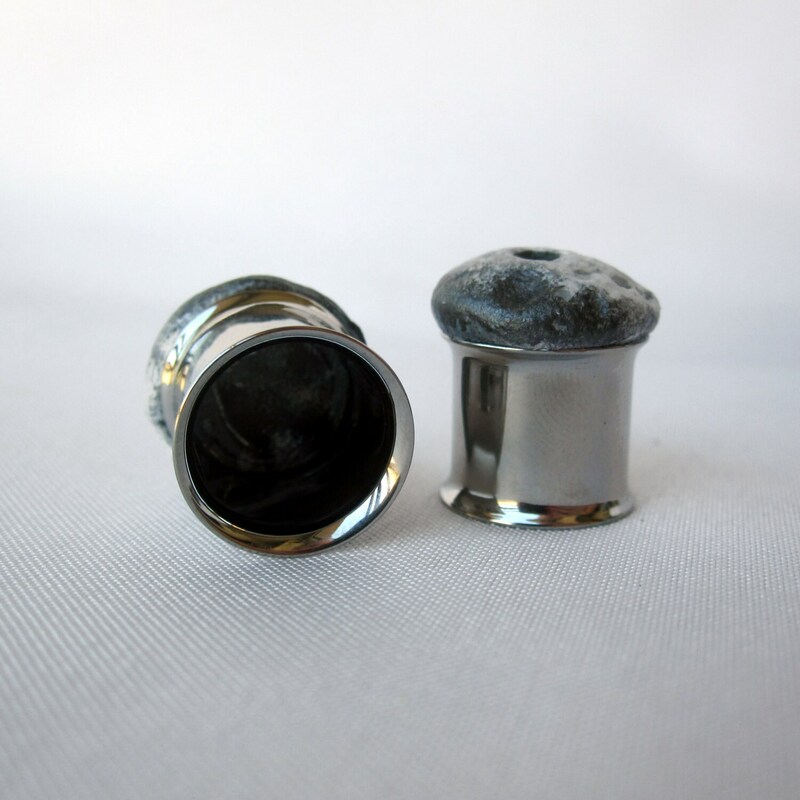 They are simple enough to match all of your outfits year-round. 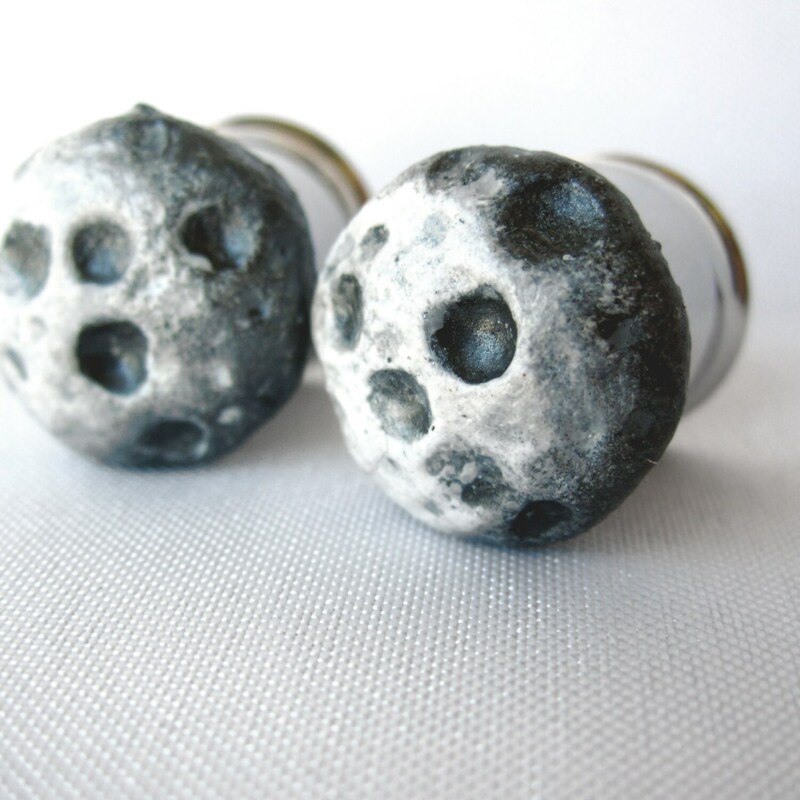 These lightweight plugs are hand-molded into the shape of the moon and then hand-painted to show a shadow on one side and a sun source on the other side. 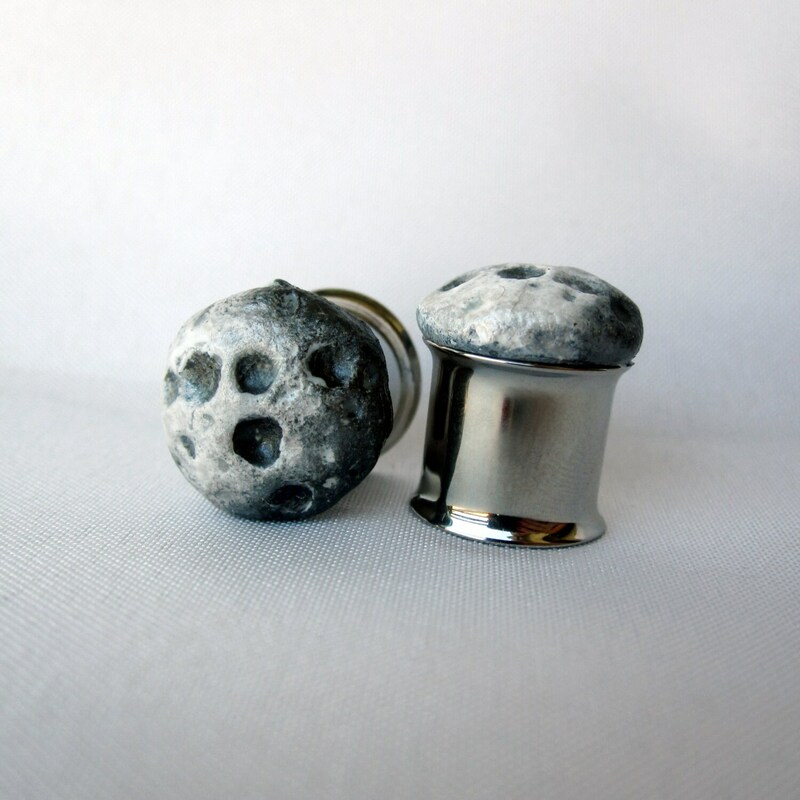 They have a lightly pearlescent finish. 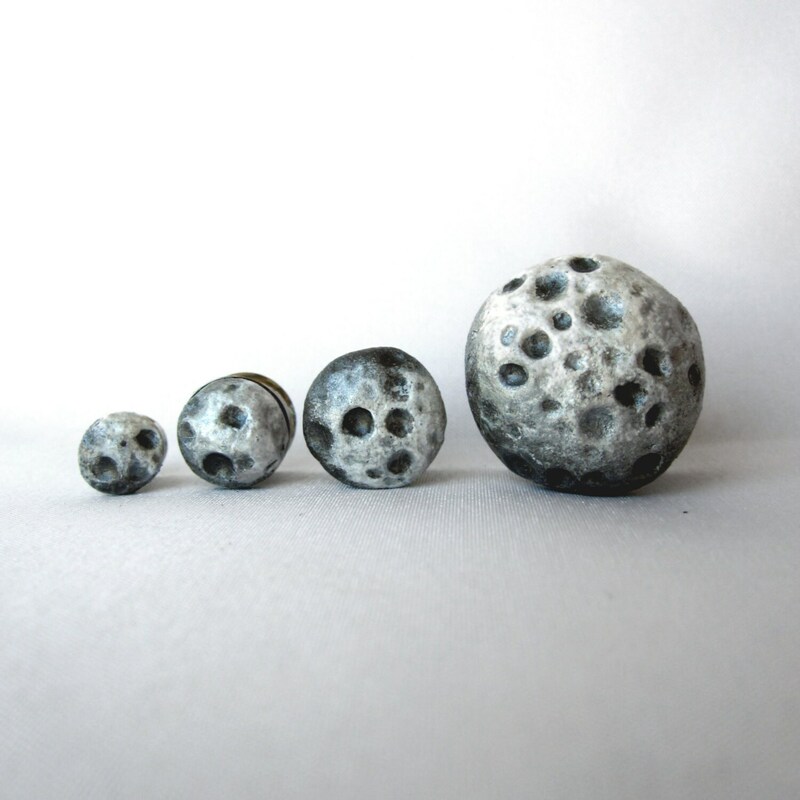 These moons are on top of surgical steel double- or single-flared tunnels with silicone O-rings. Handle with care, especially during travel- they are strong but not unbreakable! I would not recommend wearing these in water or around intense heat. Even better in person, my son is going to love these! Thanks!